It was Richter Belmont, the legendary vampire hunter, who succeeded in finally ending the menace of Count Dracula, Lord of the Vampires who had been brought back from the grave by the dark priest Shaft. However, one night 4 years later, under the glare of a full moon, Richter mysteriously vanished. With no idea of where to begin her search, Maria Renard set out to look for him. It was then that fate intervened. 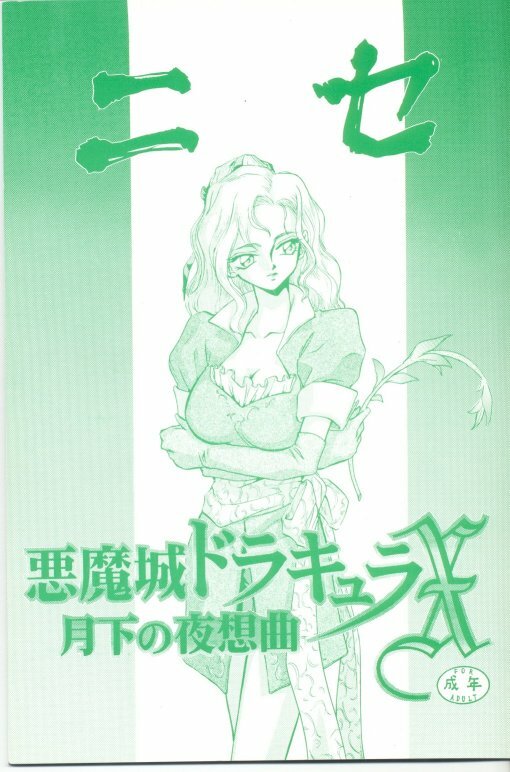 Castlevania, the castle of Dracula, which is rumored to appear once every century, suddenly materialized from out of the mist as if to show her the way. 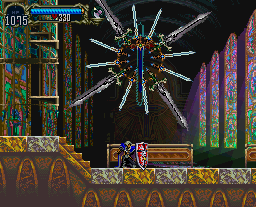 Meanwhile, powerful forces were struggling for the soul of a man named Alucard. 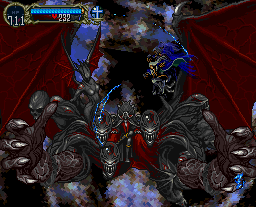 The very same Alucard who had teamed up with Trevor Belmont to battle his immortal father, Count Vlad Tepes Dracula. Alucard, in order to purge the world of his own cursed blood line, had submerged his vampiric powers and entered into what was supposed to be an eternal slumber. But now, he is awake and aware of the evil once again at work in his homeland. In wanting to test its creative ability on a true CD-based 32-bit system, Konami maneuvered its series onto Sony's Playstation console. 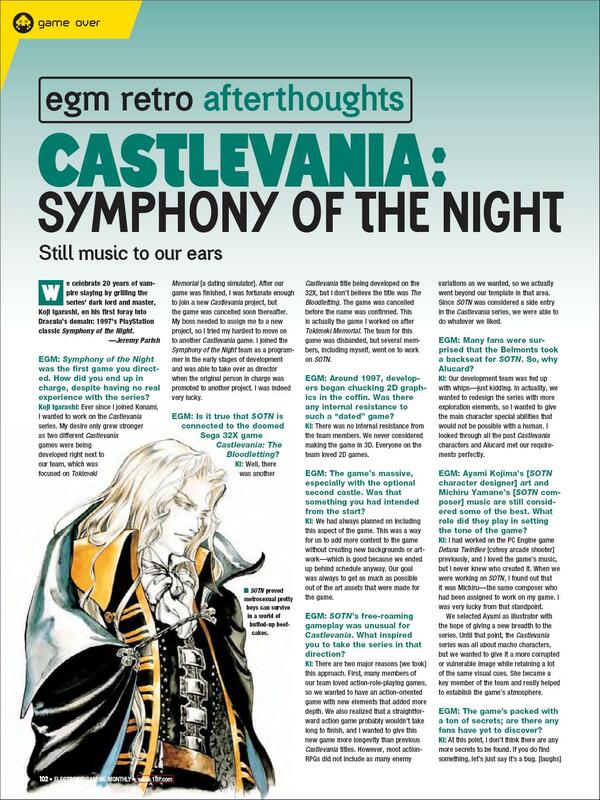 It's here where the company wanted to try something a little different: By borrowing tried-and-true elements of the Metroid series while hearkening back to the adventure-RPG style of play present in Castlevania II: Simon's Quest's, Konami created perhaps the series' strongest pillar in Castlevania: Symphony of the Night. 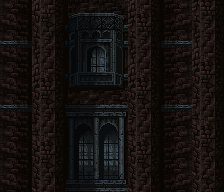 Your goal in this adventure-RPG is to take control of Alucard and lead him around and about twenty-six torturous castle sections to solve the mystery of Richter Belmont's disappearance. If in meeting this goal certain conditions are met, your adventure will continue on and a whole new mystery will unfold. 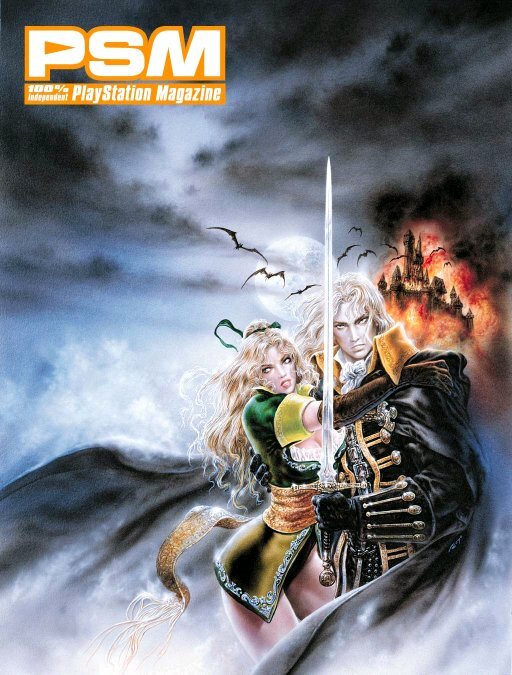 At Alucard's disposal is an RPG system that allows him to gain experience through battles and thus gain levels; to better his stats; and to therein collect hundreds of weapons and items that will affect the condition of his stats in different ways. Additionally, he can collect relics that allow him to change form, to execute special moves, and to call upon diminutive helpers; also, by experimenting with button combinations, he can learn new spells. Sega Saturn: For a complete overview of the Saturn version, please click here. 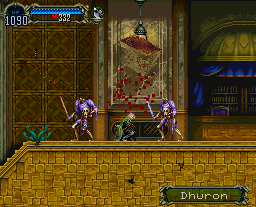 Sony PSP (The Dracula X Chronicles): (1) The title screen has by necessity a "Quit" option, which returns you to Chronicles' title screen. 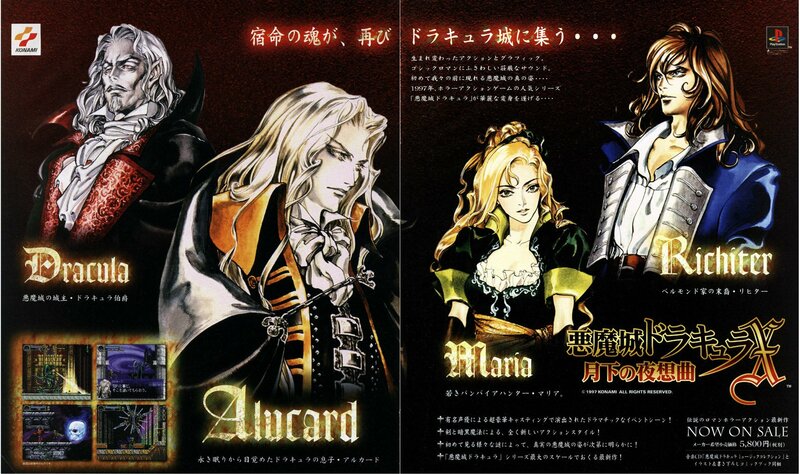 (2) Alucard's game intro now has narration to go along with a reworded prologue. 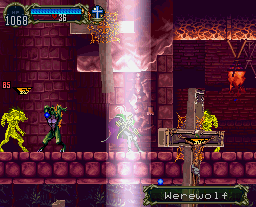 (3) The original game's voice acting has been replaced, the scenes now re-acted by the same performers who provided their services for the regular and remade versions of Rondo of Blood; too, the content of the conversations has been altered--somewhat toned down from the original's heavier subject-matter. (4) There are a lot of sound effect changes. (5) The Abandoned Mine has had its name changed to "Abandoned Pit to the Catacomb." (6) Alucard and other playable/supporting characters' voice samples have been changed as a result. (7) The in-game start menu has been changed and now includes the option "Quick Save," which allows you to save your progress at any time and resume right from the very same position upon continuing. (8) The inventory screen now has a "Quit" option, which returns you to the title screen. 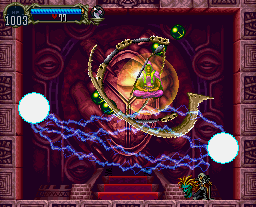 (9) In order to attain the Holy Glasses, you must battle Maria Renard, who fights quite differently than her Saturn counterpart--she's instead patterened after her younger self as played in Rondo of Blood. 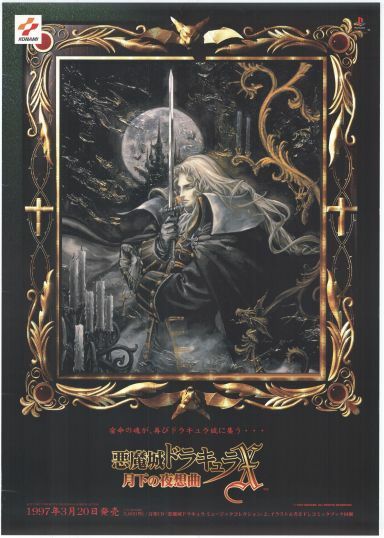 (10) If Alucard stands still long enough while the Faerie Familiar is activated, it will begin to sing the English-lyric version of the song Nocturne. (11) If you escape from the Shaft battle using a Library Card, the preamble cut-scene will upon reentering his chamber play again. 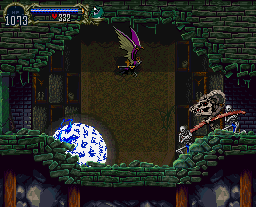 (12) The Sprite and Tengu Goblin familiars, which appeared in the Japanese Playstation and Saturn versions but removed from western versions, are present in this version. (13) The item-placement matches the original Japanese Playstation version. (14) I Am the Wind, which played during the credits, has been replaced by Mournful Serenade, a more traditional track. 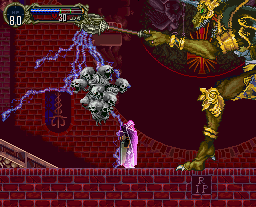 And (15) upon completing Alucard's mission, you can play as Maria in an unrelated mission, as you can with Richter. 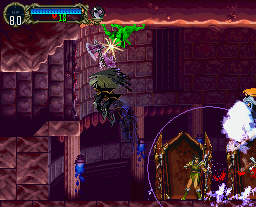 Note that Maria's play-style is unique to this game and has no connection with the Sega Saturn version, which this is definitely not. The most notable port was released for the Sega Saturn (the superior of the two 32-bit systems in regard to 2D capabilities) only in Japan under the same name: Nocturne in the Moonlight. 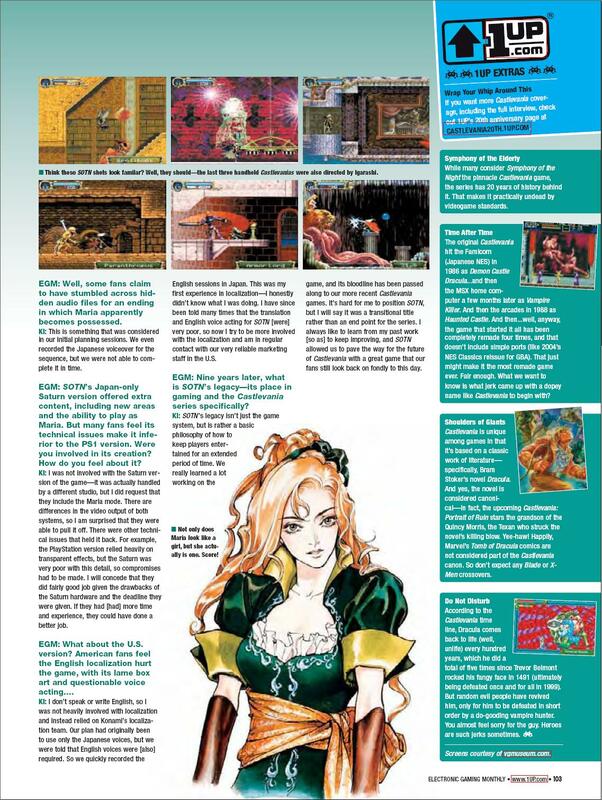 This updated version features four never-before-seen areas (two per castle) and the ability to play as both Richter Belmont and Maria Renard from game's start. 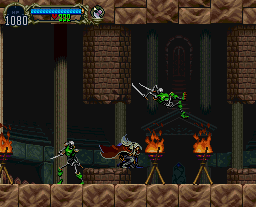 Neither, though, has a purposeful mission, as these exist only to supply a more classic style of Castlevania action. For more on Japanese differences, see its page. 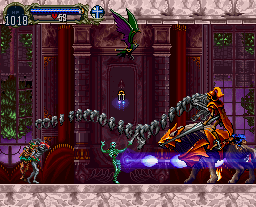 Limitations: Alucard is very different than you'll remember from his Dracula's Curse stint: He's faster, stronger, more agile and utterly controllable. His rather weak fists act as his main offense, and his normal defense is only standard. Though, he'll collect hundreds of swords, clubs, throwing weapons, armor/gear utilities, etc. that will help to increase all of his attributes exponentially. Both his health and magical power are measured by respective meters, and both can be increased in potency by the gaining of levels and through the location of power-ups. He'll also collect relics that will allow him to change form, from a bat, to a wolf, to a mist cloud (regular and poison); some that afford him special moves, like the double jump; some that conjure familiars; and others that offer unique abilities, such as the power to walk within water. If that's not enough: He can learn several deadly spells and those with the propensity to heal. Finally, Alucard can use nine sub-weapons (six typical and three unique) to supplement his sizable arsenal. Limitations: On the surface, Richter is very much similar to his Dracula X counterparts, but he's much more equipped than you'd think. 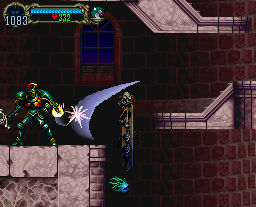 He's still bound to whipping in two directions, but he has two alternate methods: He can call forth a long-lasting flame power if no sub-weapon is equipped, and he can now brandish the whip as Simon could in Super Castlevania IV. While he retains the defensive backflip, he can now pull off all of the moves you see listed under "Special Abilities." These slide, dash and super jump techniques are necessary to Richter because in addition to acting as offensive moves, they supply him accessibility where the game wasn't made with a traditional hero in mind; only by mastering these moves can he complete his mission. 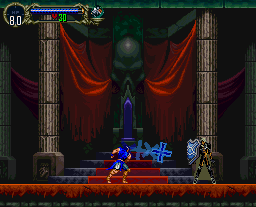 Richter has available all of the same nine sub-weapons, three of which (bibuti, aguen and rebound stone) are new to him; unlike Alucard, Richter can amplify the effect of each sub-weapon by utilizing the all-powerful item-crash ability. 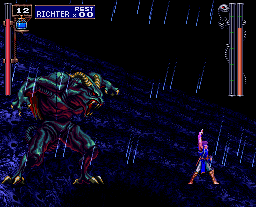 Richter is indeed powerful, and hardly any boss short of Galamoth is a real match for him.